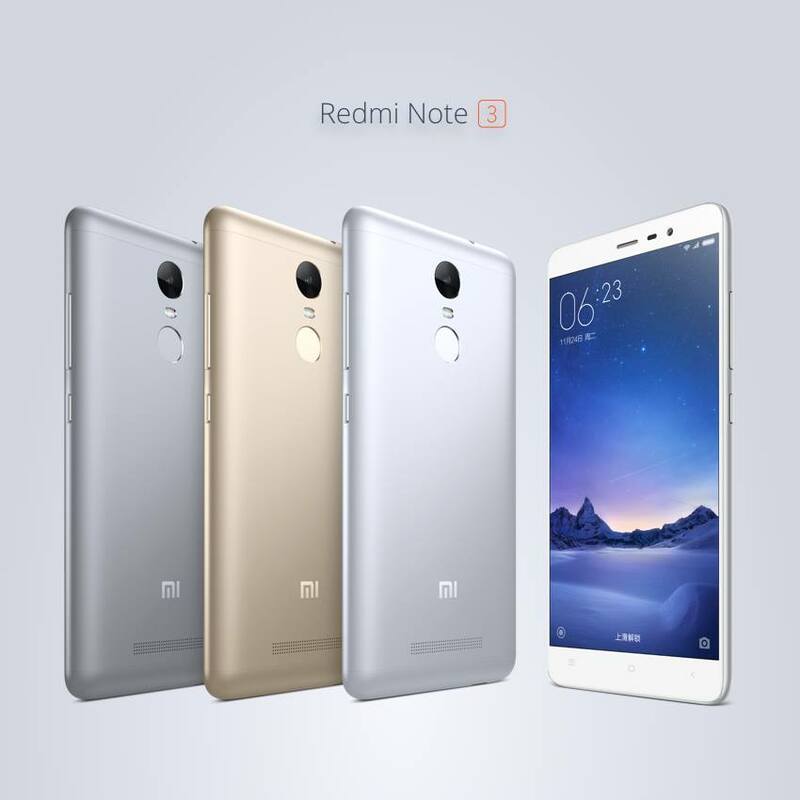 Xiaomi has finally launched the Redmi Note 3 in India, quite a while after the launch in China. It was expected that probably Xiaomi will launch the Redmi Note 3 and Mi5 at the same time, but it didn’t happen and Xiaomi will probably launch the Mi5 next month. But, Redmi Note 3 is a very god option for people who are looking for a good smartphone under Rs. 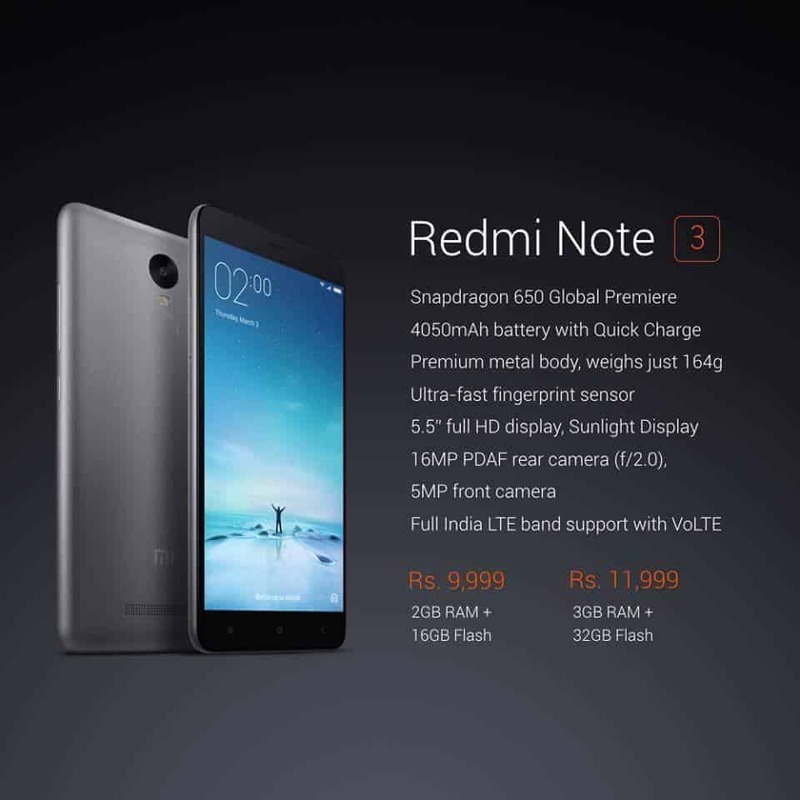 15,000, as the Redmi Note 3 16GB variant costs just Rs. 9,999 and the 32 GB variant costs Rs. 11,999. Xiaomi has priced it really well and it will surely attract consumers. The Redmi Note 3 features a 5.5-inch Full HD (1920 x 1080 pixels ) IPS display with Corning Gorilla Glass 3. It is powered by a 64-bit Snapdragon 650 hexa-core processor which is based on ARM 872 CPU core, which is 20% more power efficient, clocked at 1.8GHz coupled with 2GB or 3GB RAM (for 16GB/32GB), along with Adreno 510 GPU. IAs mentioned, it has 16GB/32GB of internal storage that can be further expanded using a microSD card. The Redmi Note 3 sports a 16MP rear camera with f/2.0 aperture and Phase Detection Auto Focus that can focus in just 0.1 seconds. There is also a 5MP front camera with the same f/2.0 aperture, seems to be good for selfies in low light condition. The device is juiced by a 4,050mAh battery with Quick Charge 2.0 support that charges the phone upto 50% in just one hour . It offers 4G LTE with VoLTE and other connectivity options include Wi-Fi, Bluetooth 4.0, GPS/GLONASS, MicroUSB 2.0. It also features IR blaster for controlling home appliances like TV, AC, and other just like a remote controller.The device measures 8.65 mm thickness and weighs around 164 grams in weight. It runs on the latest Android 5.1 Lollipop based MIUI 7. The fingerprint sensor is placed on the rear of the device can unlock the device in just 0.3 seconds. It also comes in dark grey, silver and gold color options. Apart from this, we also expect to hear announcements regarding the recently announced. It runs the latest Android 5.1 Lollipop out of the box with MIUI 7 on top of it. There is a fingerprint sensor on the rear of the device, which can unlock the phone within just 0.3 seconds. Redmi Note 3 will come in three color options- dark grey, silver and gold color options. Redmi Note 3 seems to be a great phone by looking at the overall specs and everything it offers. The sale will start on 9th March, 2PM. Next articleTop 5 Gadgets to turn your home into a smart home!